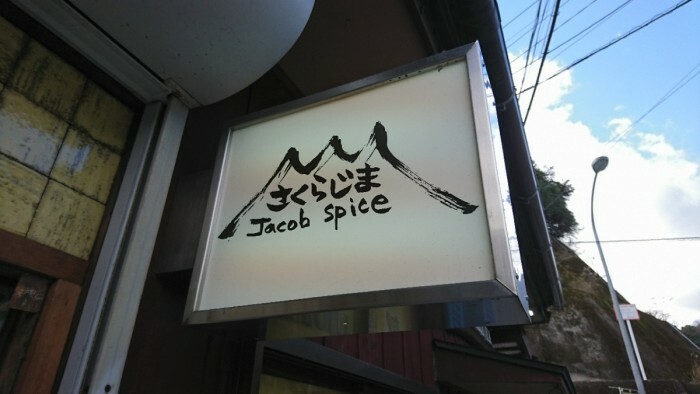 This time, I went to a curry restaurant, Sakurajima Jacob spice, at 5th street, Tagami, Kagoshima City. In fact, the owner was a band member before. After quit the band, he was working in a famous curry restaurant in Tokyo and got training there. 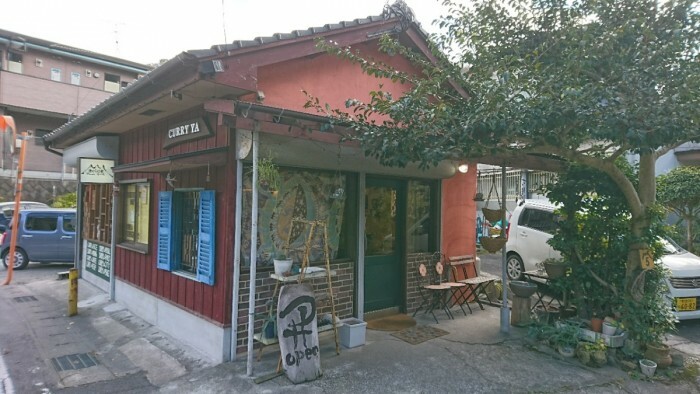 The owner and his wife opened this restaurant in summer, 2013, in their hometown, Kagoshima. Since it opened, it is getting popular and popular. The restaurant has a very nice atmosphere! It is so fashion to have a retro look building restaurant. Just like the rumor says, it is so popular. There are 5 parking lots, but no spaces!! I am getting exciting when I see it, the food must be fantastic! In the restaurant, there are hand drawing illustrations on the wall, it looks so fashion has these designs in the restaurant! In fact, I was supposed to take some pictures in the restaurant, but there are too many people and too crowded. In the end, I can not take the photos(T0T). Such a popular restaurant! Okay! Let me check the menu! 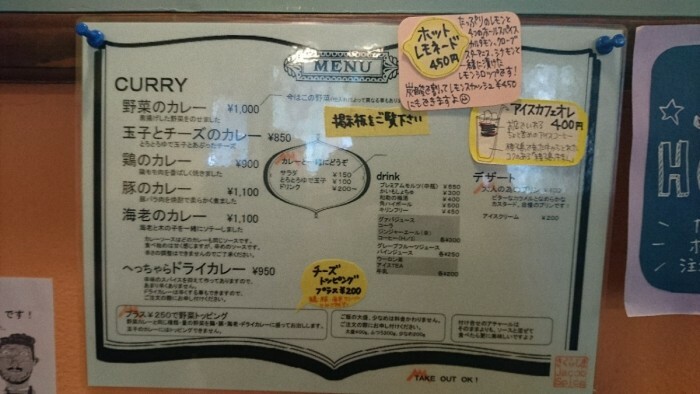 The main dish is Vegetable curry, Egg and Cheese curry, Chicken Curry, Pork Curry, Shrimp Curry, and curried pilaf. If you are not good at spicy curry, I recommend you order curried pilaf. This dish is very gentle and not hot at all. Wow, every dishes look so delicious! 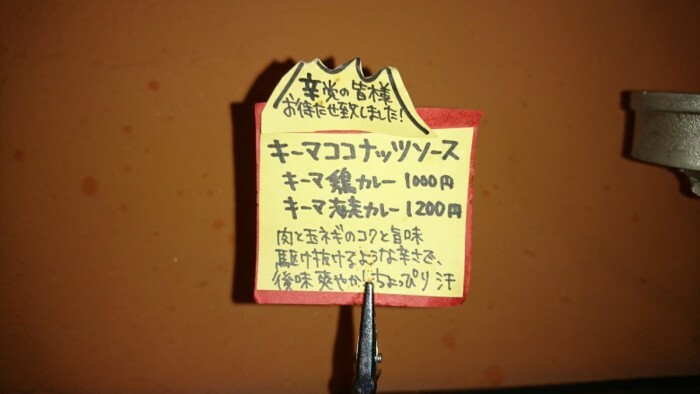 You can order big size rice for free and there are also many kinds of topping that you can choose, such as cheese and eggs. You can add your own topping depends on your own favor. A special dessert named ‘Pudding for Adults’ (Otona no tame no purin) catched my attention. I heard it is very delicious. There are also some drink that you can order, like soft drink and alcohol drink. After checking the menu, I decided to order this…..
Pork Curry plus cheese topping! Yummy! It looks so delicious that makes me wanna scream!! 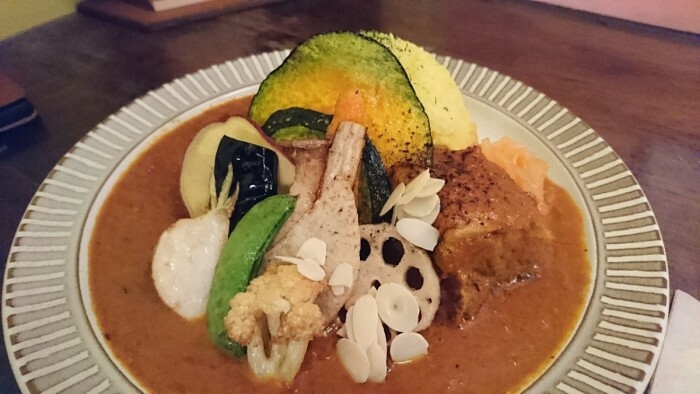 Then, my friend ordered Vegetable Curry. ‘Let’s eat!’ The spicy is very gentle and matches the sour taste of curry roux. The pork is almost melted into the curry roux, the taste is 100% delicious! The vegetable also matches the ingredients and juicy. 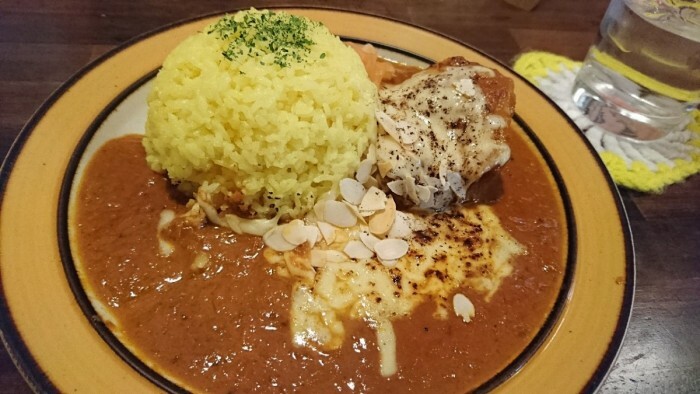 Saffron-flavored rice and the curry roux is a wonderful combination! You can take out too! 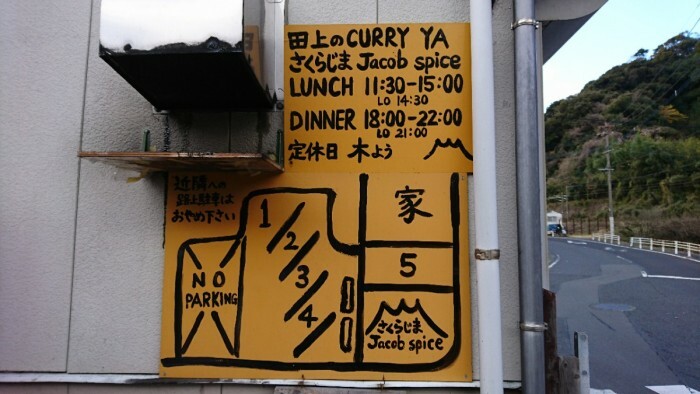 If you are a curry lover, I strongly recommend this restaurant! It is super good! ▼Food Truck: AM 11:30 ～Close until running out of ingredients ! 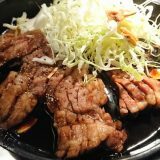 Berkshire Big Cuisine : ‘Kagoshima Kurobuta Robakutei’ Speaking of Kagoshima, it is ‘Kagoshima Kurobuta’ ! 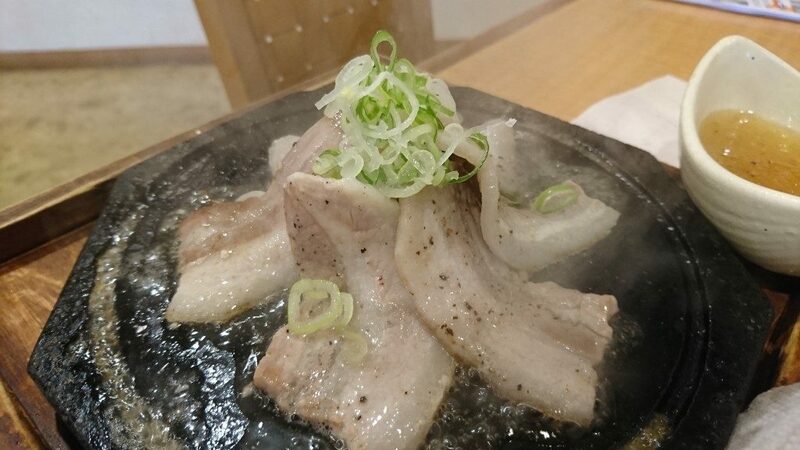 Do you know Berkshire pig can make a lot of delicious cuisine? Super popular in Kagoshima! 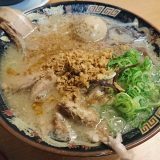 Tontoro Ramen:condensed the flavor of Kagoshima. 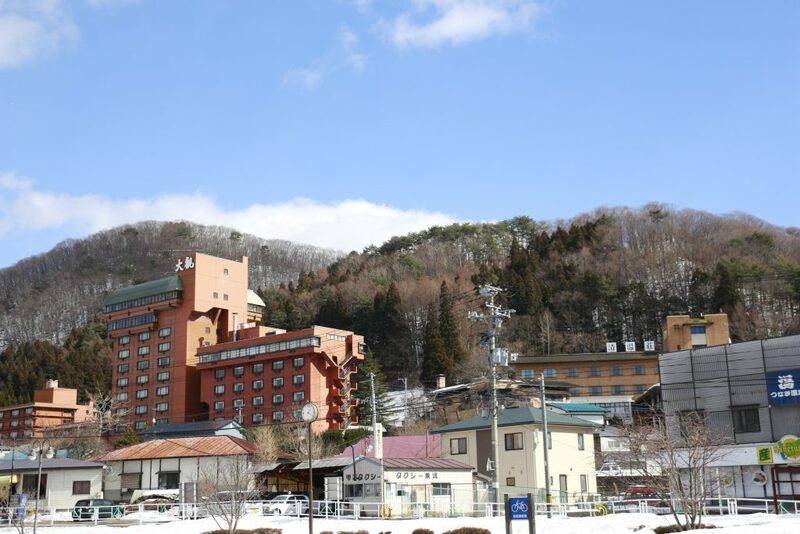 Enjoy Unique Experiences in Hot Spring Villages!